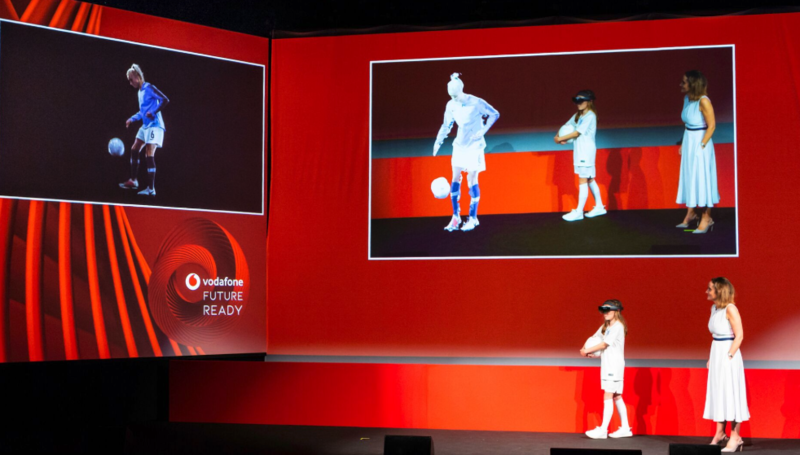 Vodafone has conducted a live, holographic call as part of the company’s 5G trials. The call, conducted between Vodafone’s offices in Manchester and Newbury is the first of its kind in the UK and forms part of Vodafone’s ongoing testing of new 5G technology. 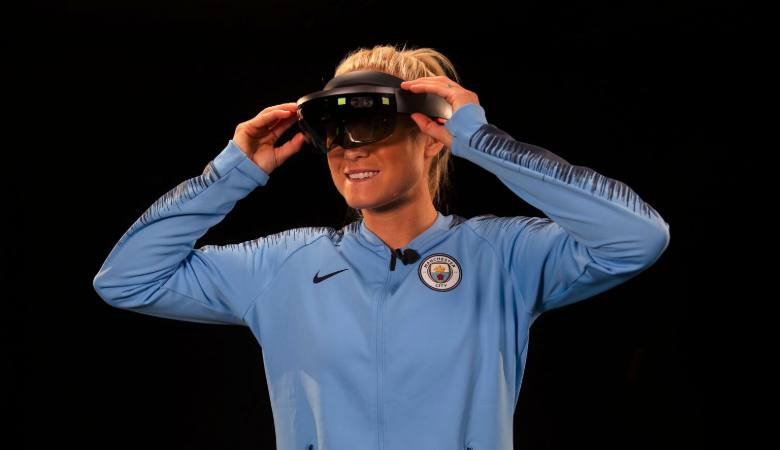 Manchester City and England Women’s Captain, Steph Houghton MBE, stationed in Manchester, interacted in a 3D, real-time communication with Vodafone Enterprise Director, Anne Sheehan, in Newbury. This gives a glimpse of what advances in network and technology could bring to our lives in the future. Also taking part in the conversation was Manchester City and Lionesses fan Iris, 11, from Surrey. 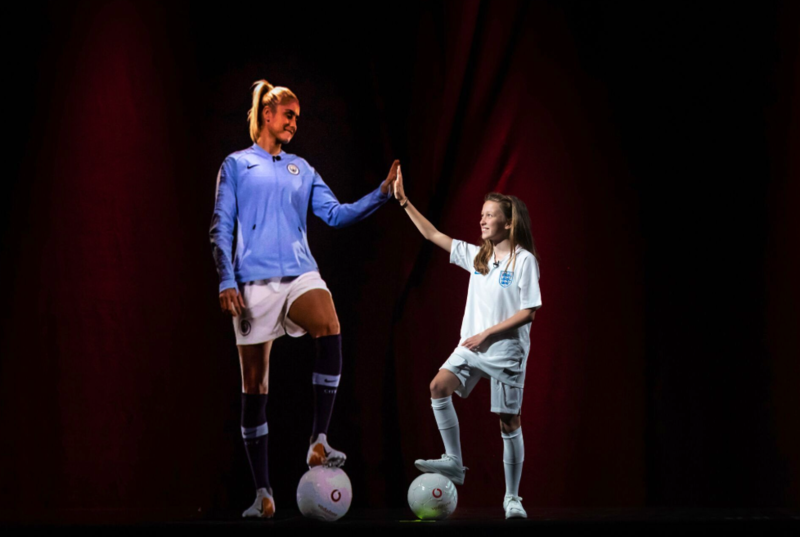 Iris’s dream of being in the same room as her idol was realised through the power of 5G and the use of a HoloLens virtual reality headset – despite being over a 190 miles away. The exchange demonstrated the exciting possibilities that such technology can bring to the sport, including remote coaching and training as well as the ability to bring fans closer to their idols. Vodafone also confirmed that in the coming weeks it will switch on 5G trials in the first of its city test beds, following end-to-end 5G testing at its Newbury-based laboratory. Manchester and Birmingham will be the first of Vodafone’s seven UK 5G test cities to go live, underlining a commitment to develop a super-fast and reliable network across the UK. We will also roll out 5G to popular UK holiday destinations such as Cornwall and the Lake District during 2019, so the UK’s cities aren’t the only places to benefit. The infrastructure and technology are already in place to support 5G on our network. Vodafone was the first company in Europe to introduce Multiple Antenna (Massive MIMO) – an important building block of 5G – to boost capacity. With the addition of Software Defined Network and Edge Computing layers, we will be able to bring the power of 5G closer to customers on a mass scale when compatible devices arrive.